American Flag Remember Everyone Deployed trucker hat. 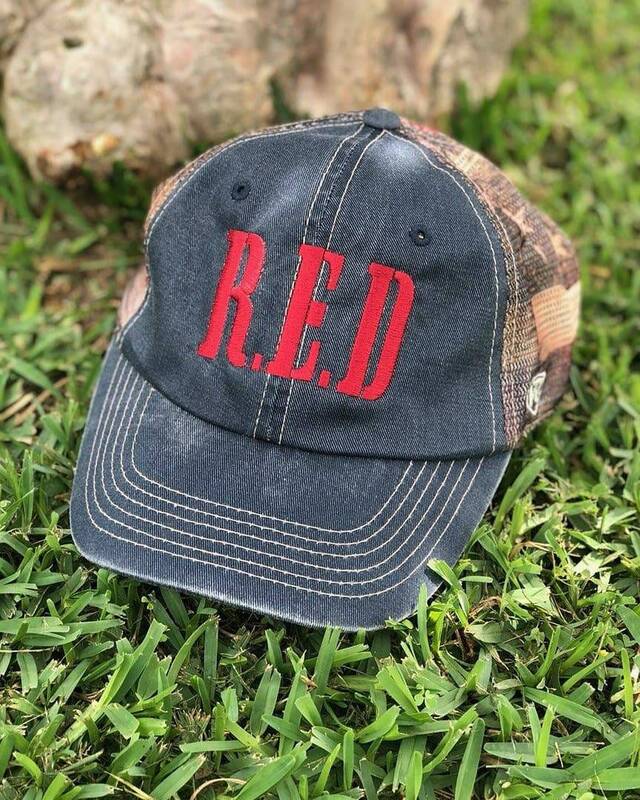 Embroidered R.E.D. trucker hat with the American flag mesh backing. One size fits most. Adjustable plastic snap back.